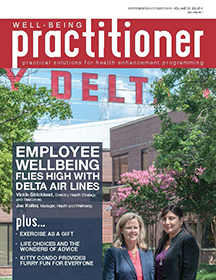 NWI members receive Well-Being Practitioner, Wellness News You Can Use, International Wellness Connection, and access to archived issues of Wellness Management. Each month we compile the best wellness news stories, new research, and fun facts. Feel free to use these articles in any publications or emails you share with your clients or employees. This is a valuable resource available only to NWI members. A series of monthly essays from wellness professionals across the world, providing insights into wellness in their respective countries. Each month we'll include a new article in the NWI member newsletter as well as keep them as an archived resource here. Not a member of NWI? Click here to join today to access these publications and much more!